For the tenants living in CropLife 100 Terraces, 2014 looks like another very positive year — at least on the outside. However, upon closer inspection, there are definite signs that the days of agricultural industry fast living are coming to an end — if they haven’t already done so — and some standard ground floor apartments might be where several CropLife 100 residents find themselves living come 2015. Overall, there’s little denying that CropLife 100 ag retailers have thoroughly enjoyed life the past few years. Since moving into the high cash district back in 2010, dealerships and their grower-customers have been steadily growing their revenues and sales at an almost unprecedented clip. For some perspective on this, consider the numbers. In 2010, total revenue for CropLife 100 retailers stood at $20.6 billion. By the close of 2013, this figure had almost doubled, standing at just a shade over the $29 billion mark. Of course, most of this was driven by a host of market factors — strong demand for corn from the ethanol and increased export demand from overseas markets for all American crops. Combined, these conditions kept commodity prices for all crops high, which provided plenty of revenue for grower-customers. Naturally, this put them in a spending mood, and ag retailers were largely the beneficiaries with increased demand for not only crop inputs but custom application services as well. To paraphrase Green Acres, ag retailers have been adoring this penthouse view! Up, But . . . This brings us to 2014. Looking at the overall numbers, CropLife 100 Terrace tenants experienced another record revenue year, with total crop input/service sales coming in just a hair under $29.9 billion. Compared to the slightly more than $29 billion the industry recorded during 2013, this uptick represents a healthy 3% increase — not as strong as the double-digit yearly gains CropLife 100 retailers were enjoying two to three years ago, but a nice sales boost nonetheless. But if you think that 100 “party at my place!” invites will shortly be arriving in your mailbox, think again. In essence, virtually all of the market’s revenue gains during 2014 can be traced back to a single tenant of CropLife 100 Terraces — Pinnacle Holdings. When this company was first formed several years ago, it stated on its Website that Pinnacle Holdings planned to be “a Top 5 ag retailer in the U.S. by 2017.” And since that time, Pinnacle has systematically gone about building up its retail outlets network through the acquisition of numerous ag retailers around the country. 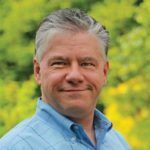 The biggest splash made by the company came in late 2012, when Pinnacle added long-time CropLife 100 resident Jimmy Sanders to its mix. This easily boosted the retailer into the More Than $1 Billion wing of CropLife 100 Terrace. And the company hasn’t slowed down one bit in 2014. Since the Sanders move, Pinnacle has continued to buy up smaller ag retailers across the U.S., expanding its number of outlets to 160. From one year ago, the company has doubled the number of states it does business in, from 13 to 26. Capping off Pinnacle’s busy acquisition year was when the company purchased another long-time CropLife 100 Terrace resident’s pad, East Kansas Chemical, during the early fall of 2014. Altogether, Pinnacle’s acquisitions added significantly to the company’s overall revenue volume for 2014, up almost 70% (just over $700 million) from its 2013 total. This boost moved Pinnacle from No. 7 on the CropLife 100 list of nation’s top ag retailers to No. 6. Furthermore, it puts the company within striking distance to overtake either CHS Inc. or Wilbur-Ellis Co. for the No. 5 or No. 4 spots, respectively, come 2015. But while the party at Pinnacle’s place promises to be a blast, the rest of the CropLife 100 Terrace tenants probably aren’t in a partying mood. In fact, if you subtract the more than $700 million Pinnacle’s acquisitions added to overall CropLife 100 revenues during 2014, the other 99 ag retailers only saw sales growth of 0.7%. And this paltry gain was apparently more than enough of a hint to several CropLife 100 residents that the penthouse living days for the nation’s top ag retailers could be coming to close. For many years during the early 2000s, the turnover rate for residents within CropLife 100 Terrace was quite high. On average between 2000 and 2004, five tenants moved out each and every year, making way for newer residents to come into the neighborhood. But when the ethanol boom began ramping up corn demand (and prices) during the mid-2000s, this rate of CropLife 100 turnover slowed considerably. With virtually all the tenants pulling in healthy revenues, the incentive to move out of the agricultural marketplace dried up as well. For the next seven years or so, perhaps one or two ag retailers would call it a career and exit the business each season. Boy, was 2014 different. The year started out with a marriage as CropLife 100 Terrace tenants Frontier Cooperative and Husker Co-op got hitched. Operating under the Frontier name, the newly created union features 23 outlets in the state of Nebraska and boosted the company up into the more than $100 million floor of CropLife 100 Terrace for the year — the largest jump for any company on the 2014 rankings. Several CropLife 100 tenants continued to invite new residents to their pads in 2014. This included the aforementioned Pinnacle and Wilbur-Ellis. Although there were plenty of marriages within the walls of CropLife 100 Terrace, at least one company decided moving out entirely was a better option than marriage. 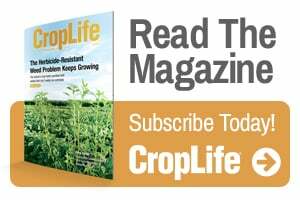 Last year, CropLife® magazine congratulated the No. 100 company on our listing, Pendleton Grain Growers (PGG), on its return to CropLife 100 after a few years absence. But 2013 turned out to be the company’s last year in business. In August — ironically about the same time 2014 CropLife 100 surveys were being sent out to ag retailers — PGG officials announced the company had been unsuccessful in trying to find a buyer for its outlets and was closing them instead. You know it’s been an atypical year when we are halfway through the annual CropLife 100 report and the topic of crop inputs/services performance hasn’t even come up yet. So let’s review these categories without further delay. Since the CropLife 100 started 31 years ago, the heart of the annual survey has been focused on just how well or poorly crop inputs/services such as fertilizer, crop protection products, seed and custom application have performed. In most years prior to 2005, these four categories tended to split pretty evenly, with two typically up and two typically down in sales. However, since the start of the 2010s, the pattern has been one of general prosperity for all four, usually led by an annual strong uptick in fertilizer revenues year-over-year. And this was almost the case in 2014, with three of the four categories gaining sales ground from 2013. Trouble was, the only one that didn’t have a good sales performance in 2014 was also the largest category for the ag retail marketplace. Ask anyone who resides in the halls of CropLife 100 Terrace about crop input/service performance over the past decade or so and they are likely to point to fertilizer leading the pack. At the start of the 21st century, the fertilizer category was a perennial No. 2 to crop protection products with sales in the $4.5 billion range and a market share of 42%. But as the nation’s growers kept investing in more corn acreage compared with other crops as demand increased, so too did the fortunes for fertilizer. By 2010, sales for this category had more than doubled to $10.1 billion and fertilizer easily became the No. 1 CropLife 100 crop input/service category at 49%. In 2013, the category hit new highs in both sales volume ($15.3 billion) and market share (53%) and the future seemed equally bright. But 2014 wasn’t as kind to the fertilizer category. For the year, CropLife 100 tenants reported that their fertilizer sales were down from $15.3 billion in 2013 to only $14.8 billion, a decline of more than 3%. Consequently, market share for the category dropped back 4%, from 53% in 2013 to 49% today — virtually the same mark the category held at the beginning of the decade. According to 2014 CropLife 100 survey respondents, the reason for this drop in fertilizer volume can be traced back to a single factor — falling corn commodity prices. As growers have seen their per bushel corn figures fall from more than $7 to around $3, they’ve correspondingly cut back on the amount of crop nutrients being put into their fields. In fact, 77% of CropLife 100 ag retailers said that managing their macronutrient demand in 2014 was “very challenging” or “more challenging than normal” because of this. If there was a winner compared with fertilizer in 2014, it was the crop protection products category. As the decade of the 2010s began, this category was definitely taking a down ride on the CropLife 100 Terrace elevator. From market share in the high 40% range, the crop protection products category had dropped to less than 30% in 2012 and seemed destined to keep losing ground as market focus shifted more to fertilizer and seed. However, in 2013, thanks in part of the increasing spread of hard-to-control weeds, the crop protection products category roared back with an 8% revenue gain to $8.5 billion. The category’s market share also improved to 29%. But as 2014 came around, the question remained — could the crop protection products category build upon these market gains or was 2013 a one-time growth blip? It turns out the former was the case. According to CropLife 100 ag retailers, their crop protection product sales improved a healthy 9% in 2014, growing from $8.5 billion to $9.3 billion. The market share of all crop input/service sales for the category now stands at 31% — its highest mark since 2010. As was the case in 2013, 75% of survey respondents said that the spread of herbicide-resistant weeds was forcing their grower-customers to add new and different crop protection products to maintain some measure of control and improve crop yields, increasing their category sales in the process. As with crop protection products, an increase in the number of farm acres infested with herbicide-resistant weeds also kept demand for custom application service brisk during 2014. For the year, the custom application category saw a revenue increase of 8%, growing from $1.1 billion in 2013 to $1.3 billion. Market share for this category improved to 5%. In terms of the best market performer in 2014, that honor belonged to the seed category. For several years during the start of the 2010s, this category stayed relatively flat year-after-year, with sales in the $3 billion range and a market share holding steady in the low teens. But in 2013, the seed category began to rebuild its earlier revenue momentum. That year, sales for the category improved 11% to $4 billion, with market share growing to 14%. The seed category was able to follow up upon this performance with another strong year in 2014. According to CropLife 100 respondents, seed revenue during the year grew 13%, topping $4.5 billion. Market share for the category also increased, up 1% to 15%.